We are interested in making every last detail perfect for your special event. 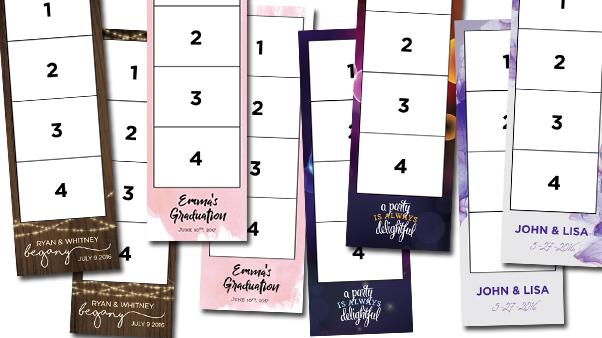 That especially includes what your guests will leave with, their photo strip. It’s important that this element coordinates with the theme or style of the event. We’re happy to create something customized just for you. Included free with any package.